HTC One M7 is a power-packed Smartphone with many useful features. Its stunning metal design, high-quality camera and a powerful quad-core processor altogether made it an amazing Smartphone. But like every other Smartphone, there are some flaws in it that cannot be overlooked. Many HTC One M7 owners are complaining about some problems with their device. If you are one of them, you can call us for an exclusive HTC One M7 repairs. Our services are best and reasonable as per the industry norms. Does your HTC One M7 overheat very often? It is normal that if you play games in your HTC One M7 for a long time, the device will heat up. There is some difference between getting hot and getting warm. Due to its aluminum body, it is quite common that your HTC One M7 will become warmer than any other phones with a plastic body. But when it overheats, the device turns itself off. This denotes that the internal components of your Smartphone has overheated and it needs to cool down for the proper functioning. If your HTC One M7 overheats and turns off, don’t worry. 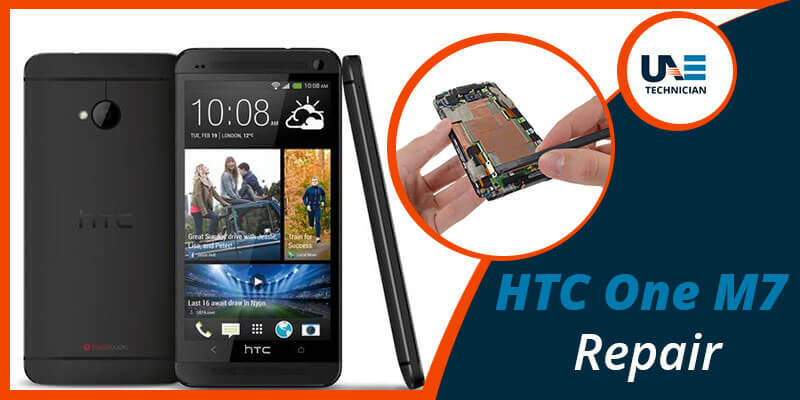 Come to our HTC One M7 repairs service for getting solutions to solve the issue at the earliest. If you encounter any of these issues in your HTC One M7 and if you are searching for an affordable service, contact us to get amazing HTC One M7 repair in Dubai. We do a proper diagnosis of your device and accordingly provide repair services for the damaged parts. We also provide replacement for those which cannot be fixed. We are available 24 hours for our customers. You might also seek help from our professionals of HTC One M7 repairs service by talking to them directly through our live chat facility. If you don’t want to talk, you can even send details about the issues in your device via emails and take assistance from us. We also provide HTC One M8 repair service.